Dziś naszą fabrykę opuściła nowa wzmocniona kosiarka bijakowa ciężka na pantografie w wersji z otwieraną kalpą tylną. To kosiarka bijakowa o wadzę ponad 900Kg oraz zasięgu powyżej 350cm od osi ciągnika. Kosiarka bijakowa KB220 w wersji R to maszyna przeznaczona na użytek prac melioracyjnych. 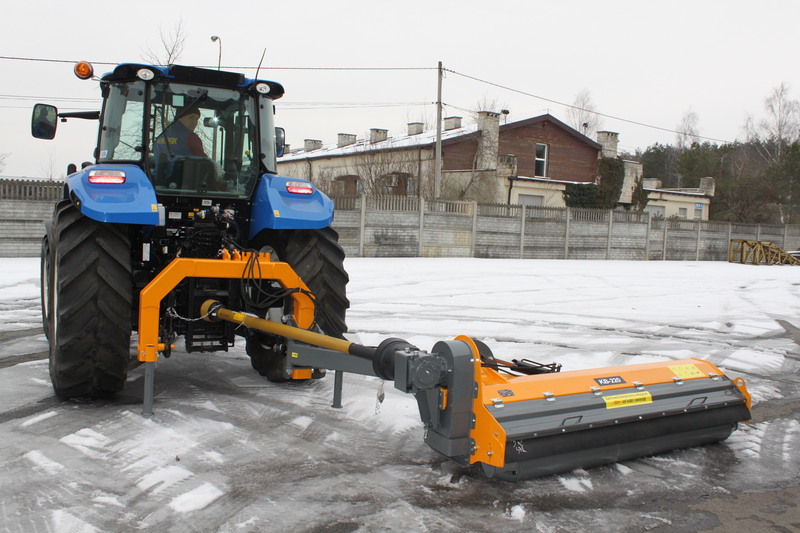 The KB ROLMEX is the heavy duty offset model, designed for medium sized agricultural tractors from 100 to 200hp and is typically used for amenity and agricultural applications. 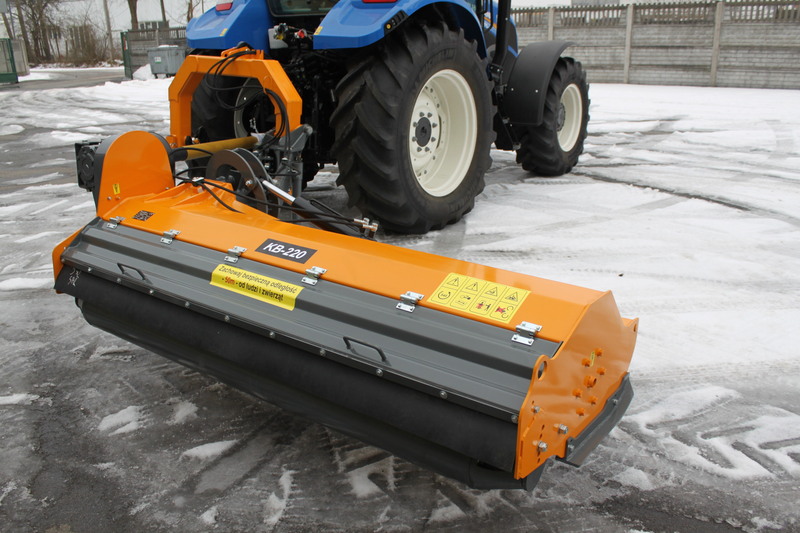 The KB ROLMEX is suitable for cutting grass, road side & hedgerow maintenance and shredding branches or twigs. This rear mounted, right hand operated mower can be used ‘in line’ behind the tractor or offset. 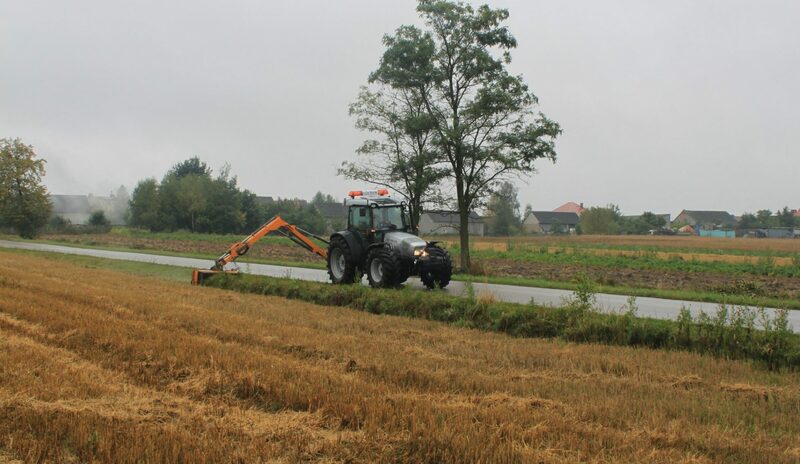 It is ideal for cutting ditches and banks safely and easily. The hood is manufactured from FE560 high tensile and high impact steel making it suitable for the most challenging of conditions. It can be used in a vertical position which makes it the ideal tool for siding oversized hedges. The unique cutting action throws material over the top of the roller, keeping the cutting rotor clean & leaving a cleaner cut.